Insperity is helping Houston families start the school year healthy and prepared with its generous support to Vecino Health Centers. 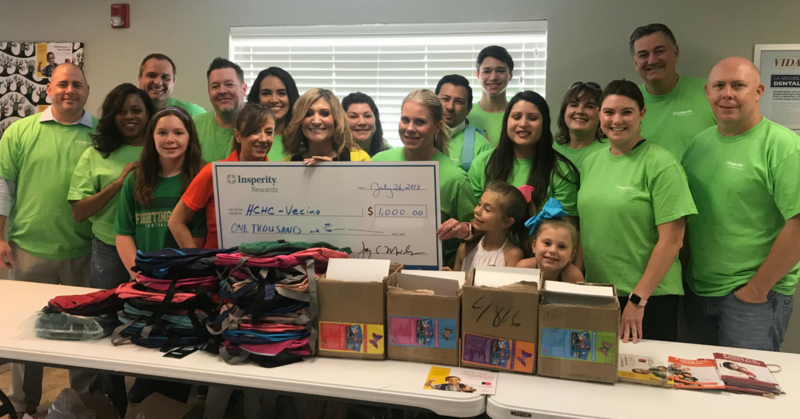 For the third consecutive year, Insperity, a provider of human resources and business performance solutions, is energizing Vecino Health Centers’ Back-to-School Campaign with a generous financial contribution as well as hands-on help filling the backpacks with school supplies so they are ready for the kids. 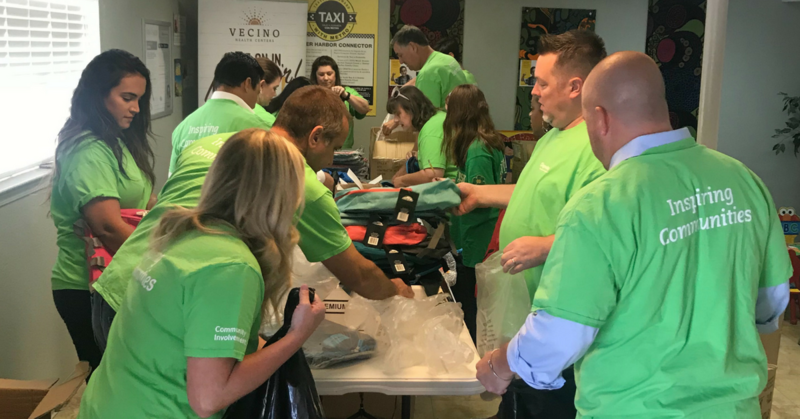 Backpacks filled with school supplies are being provided to children at their Well-Child medical exams at Vecino’s Airline Children’s Clinic and Denver Harbor Family Clinic as a direct result of their support. Thank you Insperity! The backpack program, now in its third year, not only relieves parent’s back-to-school financial stress by providing families with essential supplies, but it also encourages parents to take advantage of Well-Child Exams, an important form of preventative care. Every school-aged child who receives an Well-Child Exam at Vecino’s Airline Children’s Clinic or Denver Harbor Clinic by August 17, 2018 receives a free backpack filled with school supplies. It’s not too late to join Insperity and help children go back to school healthy and prepared. Contribute just $20 to help two children or $50 to support five (or choose your own amount).